Once among the largest cities in Europe, the East Flanders capital, known natively as Gent, is often ignored by tourists (a huge mistake, might I add). All the more reason to go, right? This beautiful city should really be known as one of the top places to visit in Belgium. But it’s not, and I’m sure the locals don’t mind. It still gets plenty of visitors, of course, especially during the massive ten-day Ghent Festival in July. Regardless, Ghent is a city nearly absent of tourist traps. It is a city with tons of local culture, and I mean local. Ghent has so many unique qualities separate from typical Belgian culture, from the food to the nightlife and the overall lifestyle. It’s a crazy place–that’s for sure, and it’s the perfect place for a crazy good time. 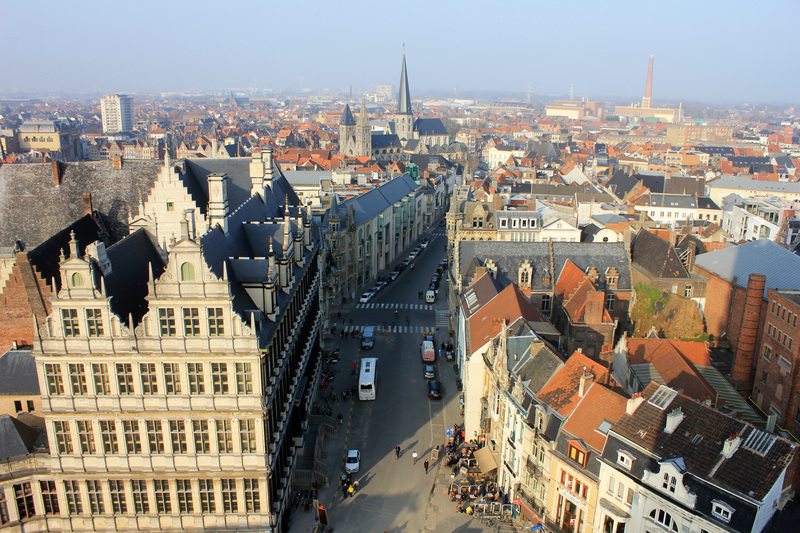 I love discovering new cities – Ghent is now on my list! hah, don’t worry. Amsterdam is coming! I have been to Ghent, and I must say, its much more beautiful than the densely-populated with tourist, Bruges. I had so much fun sitting in the cafes by the canal and enjoying a delicious fisherman’s pie with many bottles of Lambic beers. As a woman, fruit beers is exactly right up my alley! Perfect holiday you can imagine. I also did the touristy (forgive me!) horse ride about town. Of course, as it’s Belgium, its the perfect chocoholic haven! Chocolate in many forms for all time of breakfast, lunch or dinner! I cannot highly emphasize this place enough!